Moving Into the House. 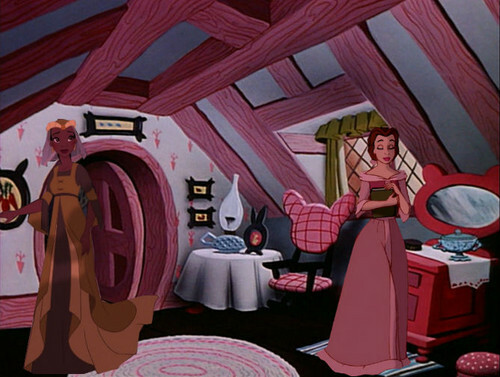 Belle and Tiana are living together as Друзья and stuff, I guess. They're going to need a little bit of help with the door though.. Wallpaper and background images in the Кроссовер диснеевских персонажей club tagged: photo tiana belle crossover. This Кроссовер диснеевских персонажей photo might contain обедающий and закусочной.